Hello Sunshine! When I think of black nail polish, I think gothic. 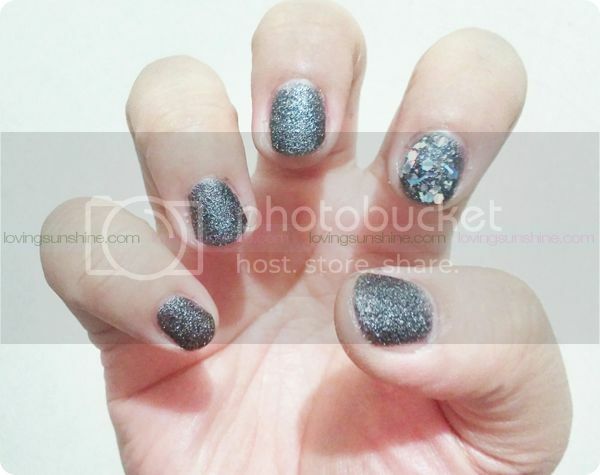 But since I met Zoya Pixie Dust in Dahlia, I now imagine glamourous when someone says black nail polish! 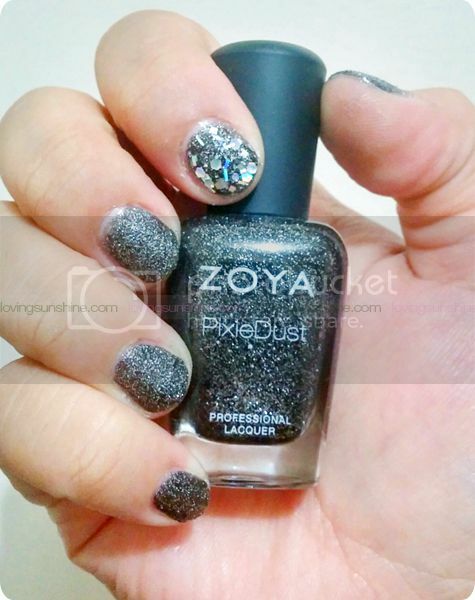 Zoya Pixe Dust is a textured vegan nail polish that is perfectly safe to use. It is free of toluene, formaldehyde, DBP and camphor so your nails stay healthy while getting prettified! Zoya Pixie Dust is really interesting to wear because of the grainy effect it leaves as a surface. Personally, I prefer not wearing top coat when using my Zoya Pixie Dust polishes. This way, my #NOTD feels and looks more peculiar than usual. 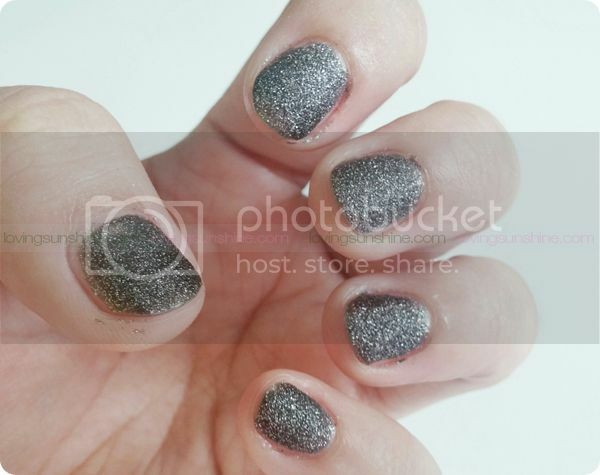 For more nail photos or swatches of Zoya Pixie Dust in Dahlia, read after the jump! Dahlia by Zoya can be best described as a black beauty with a sugared sparkle, in the exclusive Zoya PixieDust Matte Sparkle formula. 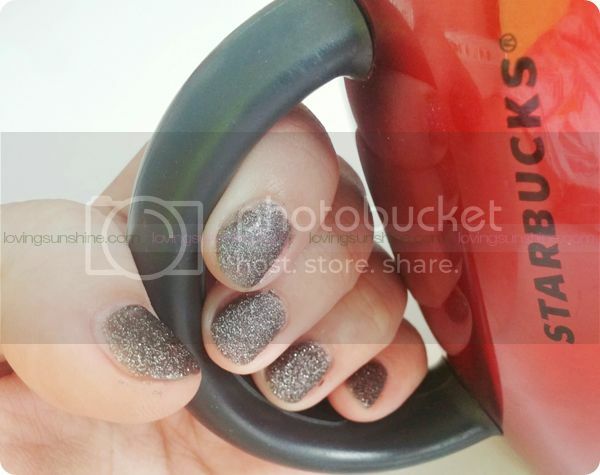 For more sparkle, layer a glitter polish on your chosen accent nail. Cute right? Tell me what you think! Zoya nail polishes are available in select salons like Posh Nails!